On a parchment-lined baking sheet add the butternut squash and drizzle with olive oil. Season with pink sea salt and pepper. Bake for 30 minutes. During the last 15 minutes of baking, add the veggie bites to the baking sheet. In a small frying pan, add 2 tsp of olive oil and saute organic spinach (or kale) until it is wilted. Season with pink sea salt and pepper. Bring a pot of water to a boil and add the pasta to the boiling water. Cook for 10 minutes over medium heat. Drain the water from the pasta and pour into a bowl. 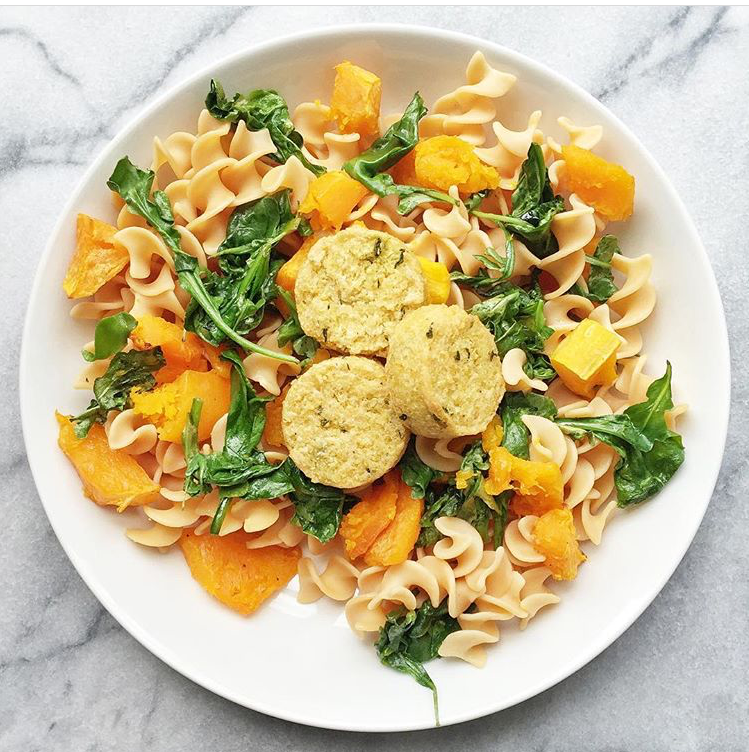 Add the baked butternut squash and spinach with some option veggie bites on top of the pasta and enjoy!